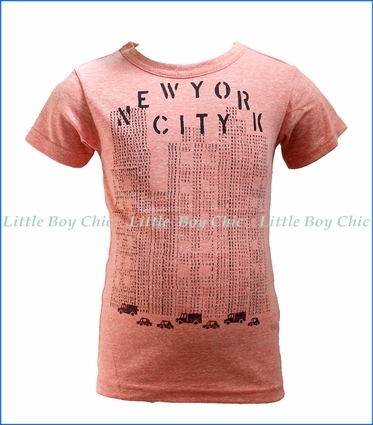 This stylish short sleeve (S/S) T-shirt, from our Japanese line Bit'z Kids, is all about the Big Apple. We love the settle yet very artistic graphic depicting the city scape - the black graphic over the slabbed salmon colored fabric is special. Super soft hand feel. Form fitting. 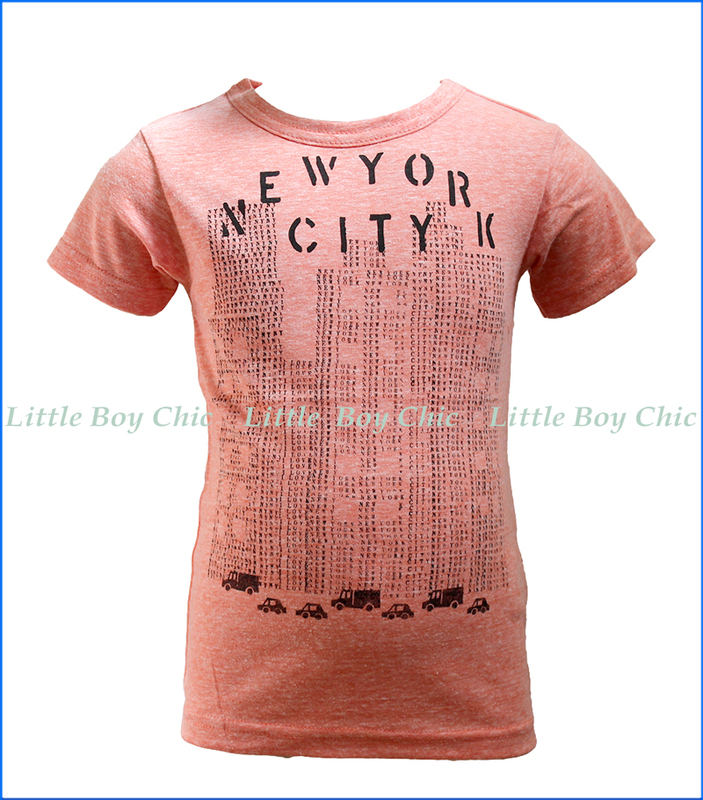 2-3years size has snap button on left shoulder for ease of getting our boy dressed.